Occupational Hygiene is the science and discipline surrounding the workers health and wellbeing, including the environmental impact to the community at large, and processes taken by a worker. OHP Occupational hygiene team includes a Senior Occupational Hygienist who is certified with the Australian Institute of Occupational Hygienists (AIOH) and Chartered Member of the Safety Institute of Australia (SIA) assisted with an experienced team of Occupational Hygienists and Occupational Hygiene Technicians. Our team’s goal is to anticipate, investigate, assess and develop risk management controls in the workplace. Workers may be exposed to chemical, biological, physical, noise, temperature, radiation and ergonomic risks or hazards in the workplace. The role is to provide expert advice and effectively communicate, implement and manage new programs or simply review existing programs to ensure their viability and capacity to achieve the desired outcomes. The team has been providing the occupational hygiene services over a number of years to various clients in Sydney, NSW and Canberra, ACT including government, manufacturing, construction, quarries and mining and to the property sector. 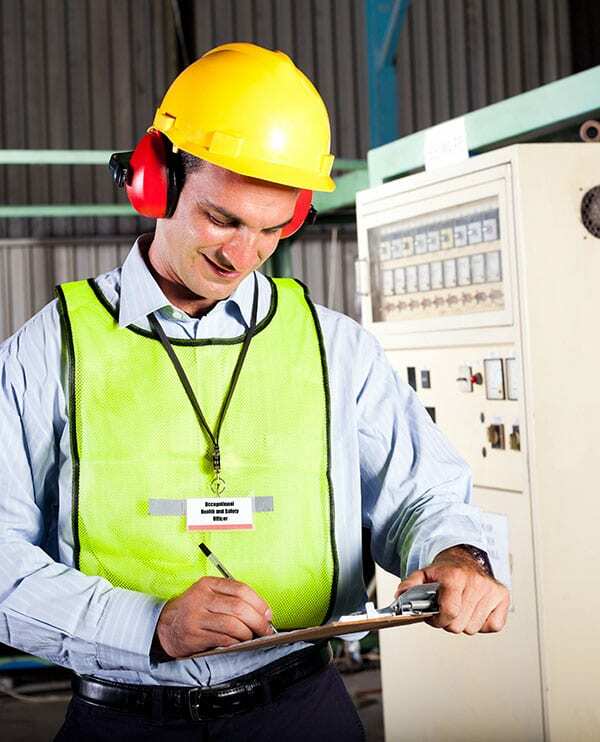 If your workplace workers find It necessary to use a raised voice in order to communicate with a person about one metre distance, it is advisable to carry out noise measurements through a workplace noise survey and noise exposure assessment. When the average levels of noise in the workplace are likely to exceed 80 (dBA) it is advisable to carry out a noise assessment. If the average noise levels are likely to reach 85 (dBA) and/or peak noise levels reach 140 (dBC), the noise assessment becomes mandatory under the WHS legislation. Asbestos is one of the most common materials used in construction prior to the 1980s. Whilst it had a unique set of engineering properties that solved a number of building issues at the time, it has created probably one of the most concerning industrial related diseases of recent times. The identification, management and abatement of asbestos materials, where present, must be strictly adhered to in accordance with the applicable state and territories WHS Regulations and a critical part of a hazardous material management program. Excessive dust and air contaminants can lead to a myriad of issues including eye and respiratory conditions and has the potential to impact your business needs. There is a duty on persons conducting a business or undertaking (PCBU) to monitor the conditions at the workplace for the purpose of preventing illness or injury. The OHP team has the expert knowledge and equipment to test the dust levels within your place of business. Limited or Excessive light can lead to a myriad of issues including vision loss and serious accidents. Employers must manage lighting to ensure a healthy and safe workplace. The OHP has the expert knowledge and equipment to test the light levels within your place of business. The Environment Protection Authority assumes that you ought to know the activities that have in the past or are currently causing contamination, or the potential to cause contamination across a business’s activities. This being the case simply understanding the “waste” across your business is the least you need to do. Our qualified and experienced audit team have undertaken contamination investigation, analysis, recommendations and validation across government, industry and defence.